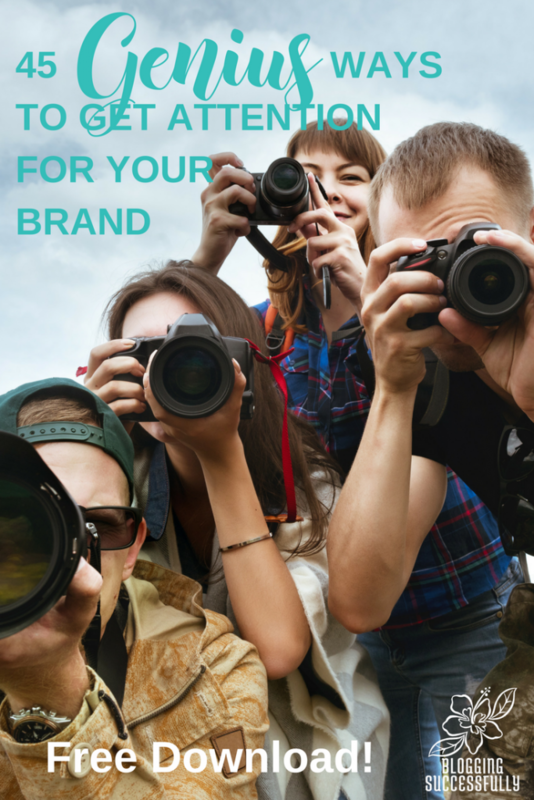 You love your brand, and you should! But how do you get more eyeballs on it so others can love it too? 1. Disagree with an industry influencer. A disagreement can stir up some controversy and publicity. Make sure you are on solid ground before you disagree with someone. Always be kind and also be ready, willing, and able to back up your views with sound facts and figures, then go for it. 3. Share a controversial opinion. You have opinions and some of them may be a bit controversial. Don’t shy away from those thoughts and ideas. Instead, leverage them to generate discussion, interest, and publicity. This also helps you attract “your tribe” while likely thinning out those who are not “your tribe”. 4. Break a record. Get people excited about and interested in your potential success or failure. The Guinness Book of World Records is packed with ideas too. 5. Do a live video. You could do a product demonstration, a question and answer session, or even an interactive workshop. These types of events are sure to generate buzz. We transfer many of our videos from our Facebook Group to our YouTube channel afterwards so that we can grow both platforms with the same content. See our YouTube playlist here. 6. Interview a celebrity or industry influencer. Connect with someone notable in your industry and interview them. You can promote the interview and boost awareness for your business, and they’ll likely promote to their audience as well. The easiest way to do this is with a podcast, a skype recorded call, or a live video. 7. Host your own conference or retreat. Go to some first to get an idea. Recruit a team to help you and go for it. Here is our ultimate list of blogging and business conferences. If you've found these helpful, that's just the tip of the iceberg! 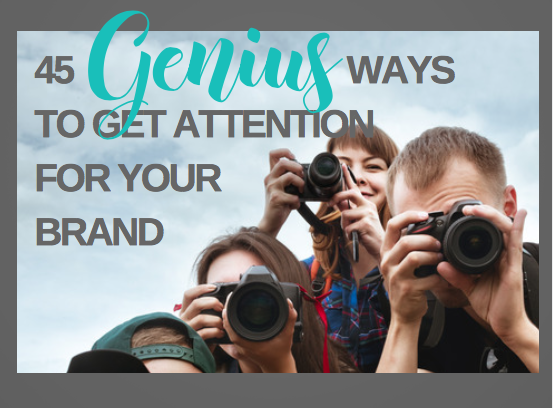 Enter your information here to Download this free list of 45 Genius Ways for Get Attention for Your Brand.